Our nearly 100-year history as a leader in the infrastructure construction industry has taught us that top performance in infrastructure is only possible when there is a consistent and seamless connection of all fundamental parts and processes. Any job, big or small, has 10 fundamental components that if not effectively and consistently connected will drag down project performance and, worse, create unforeseen gaps, unnecessary costs, schedule overruns and expensive, at-risk safety issues. 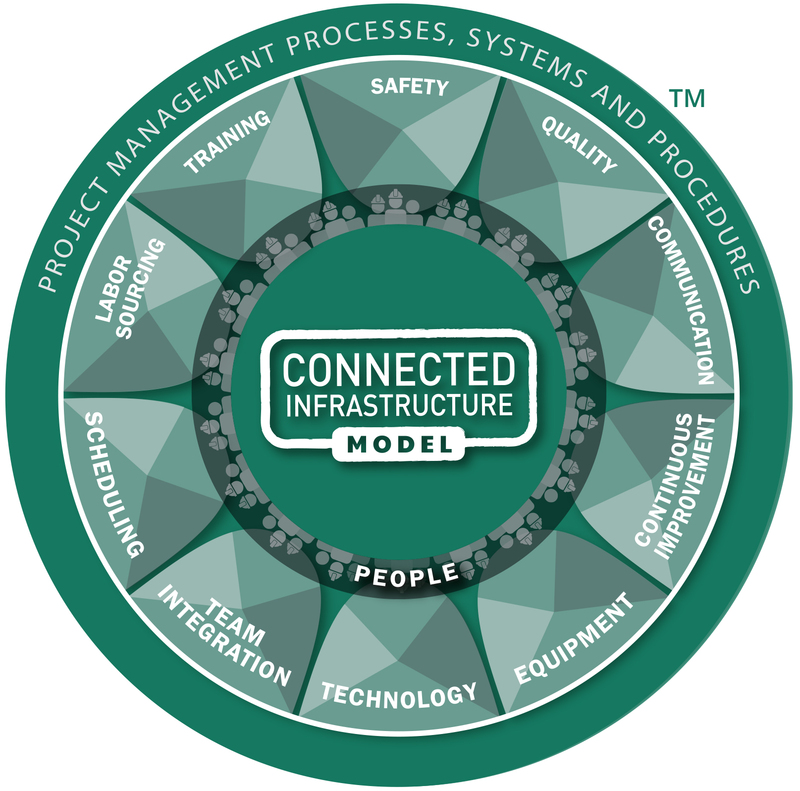 Our proven model efficiently and effectively connects all 10 of the fundamental areas of successful infrastructure construction. It’s called The Connected Infrastructure Model™.